Coming in a tonal grey colorway. After dropping the sneaker in a “Limestone” colorway last month, PUMA has returned to the CELL Venom silhouette for a new collaboration with Japan’s mita sneakers. The resulting “Stealth” sneaker is inspired by military aesthetic, and features an upper constructed from tonal grey panelling. 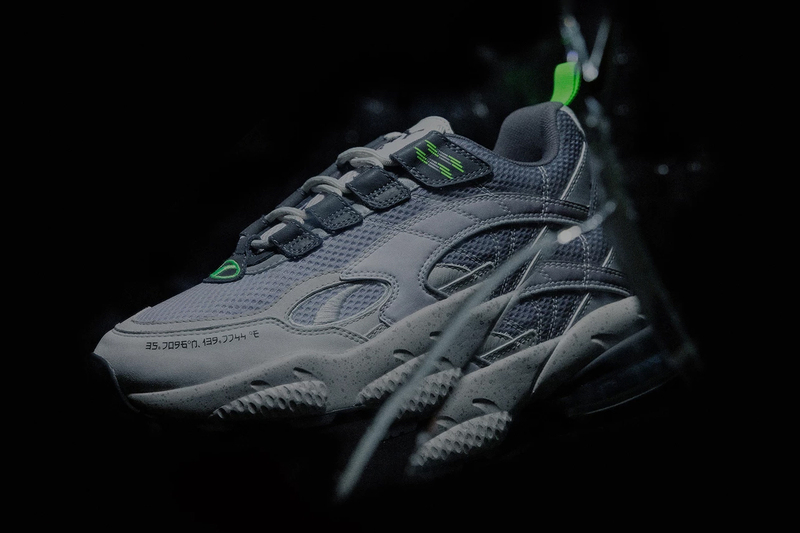 Detailing on the sneaker includes fluorescent green accents — on the heel tab and embroidered on the heel and lacing unit — as well as the location coordinates of mita sneakers, which is printed in the Japanese-inspired “Electroharmonix font.” The mita sneakers x PUMA CELL Venom is set to release at the mita store on February 9. In other footwear news, take a look at PUMA’s new self-lacing sneaker. PUMA's Cell Venom Drops in "Ribbon Red"
Step Into the '90s With PUMA's CELL Venom "Fresh"
Brute force and a kaleidoscope of color. Co-created by adidas Skateboarding icon Tyshawn Jones. Through his Outlier Society Productions organization. The deportation process is said to start this week. The last box was sold for $66,920 USD.